From ski bums to cross-country transplants who moved here for the outdoors, nobody loves their mountains more than Coloradans. 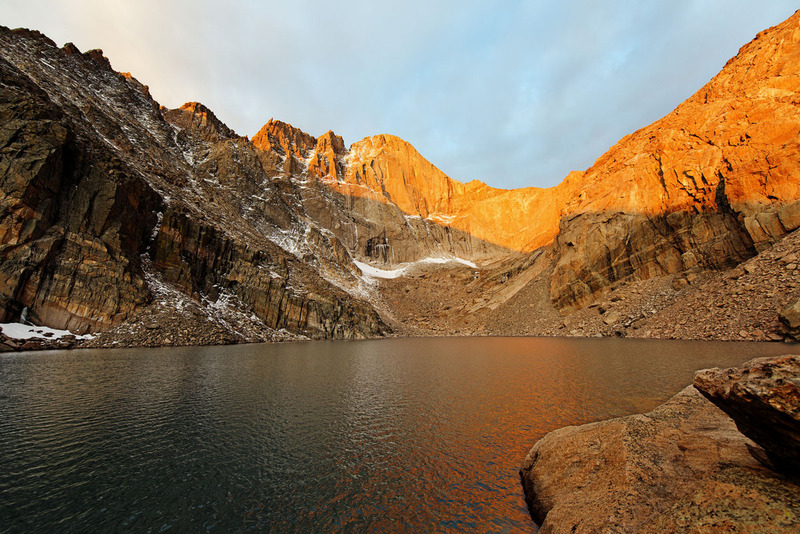 Below are our picks for the best day hikes from Denver, ranging from relatively easy strolls in the foothills to the highest 14er in the state (and second highest peak in the contiguous United States). All Colorado hikers should keep a keen eye on elevation and make sure to drink water and not push your body past its comfortable limits. In addition, keep in mind that afternoon storms are common in the summertime, and lightning in particular. Those heading for the high country should plan on getting up early and summiting around midday before weather moves in. About 30 miles west of Denver is the outdoor mecca of Boulder. The historic hamlet of Chautauqua sits directly beneath the Flatirons with big views and numerous area hikes. A number of easy trails weave from the Chautauqua Ranger Station across Bluebell Mesa, and many people simply walk until they want to turn around. If you who have a goal in mind, the 1st Flatiron Trail is approximately 2.9 miles round-trip with good views back out over Boulder, and Royal Arch is 3.2 miles round-trip. 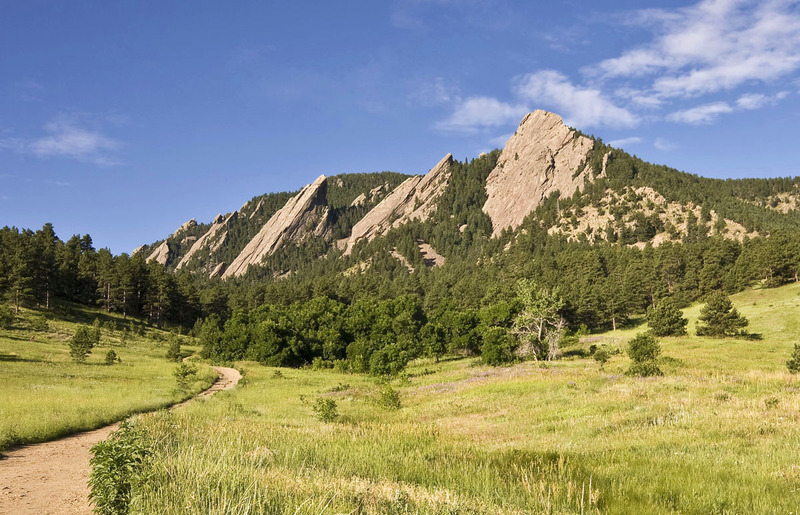 Keep in mind that given Chautauqua’s in-your-face beauty and close proximity to US-36, these are Boulder’s most popular trails for visitors. If you have two cars, our favorite is the Mesa Trail from Chautauqua to the Eldorado Springs parking lot (or vice versa). This 6.7-mile hike covers classic Boulder terrain with views of the Flatirons, foothills, and out toward Denver. Just drop one car at either trailhead, park at the other, and you have a terrific one-way Boulder hike. And don’t forget to swing by Pearl Street on the way out of town to celebrate your day outdoors. The Trading Post Trail is the easiest and most family-friendly hike on this list, but it’s still a great way to get out of Denver, stretch your legs, take in some fresh mountain air, and even visit the famous Red Rocks Amphitheater. Less than 20 miles from downtown is the tiny town of Morrison and one of the leading concert venues in the country. 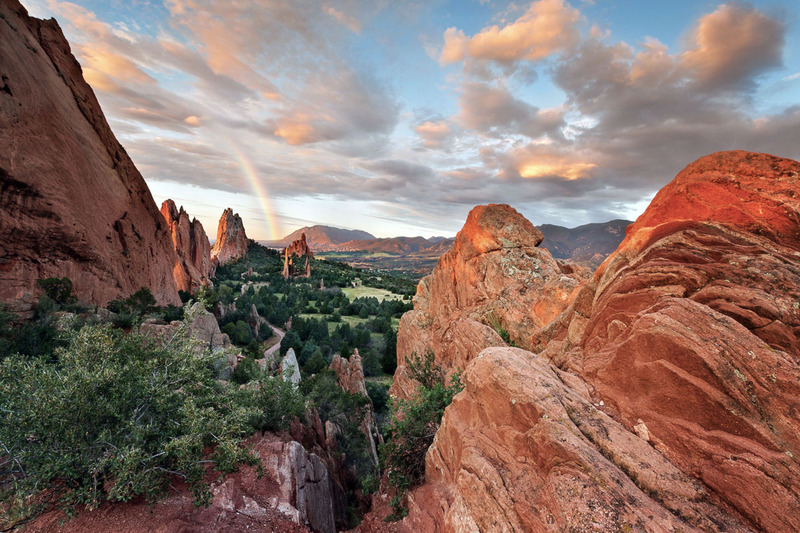 The whole area is a public park (“Red Rocks Park”) and known for the dramatic rocky outcroppings shooting out of the foothills. South of the Amphitheater is the Trading Post Trail: a well-groomed 2.8-mile loop with beautiful views. Make sure to get there early as everything closes at around 2pm on concert days, which are more frequent than not in the summer months. This National Natural Landmark just outside of Colorado Springs is another example of gorgeous red rock formations set amongst the foothills. Roads from the visitor center wind through the park with short hiking trails in all directions (some are paved, but you can venture away from the main road to avoid the crowds). Cathedral Valley is one of the most striking areas in the Park and Longs Peak can be seen in the background on clear days. Garden of the Gods is great for families: the full loop trail is around 4 miles but the hiking is relatively easy and parking lots are never far away. For more solitude and similar views, Red Rock Canyon Open Space is just two miles to the south. One could argue that the Brainard Lake Recreation Area is the true start of Rocky Mountain wilderness. 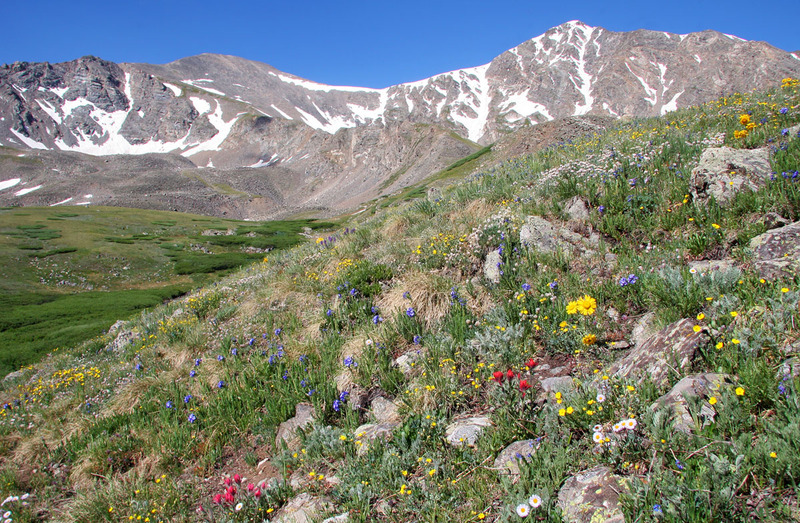 The hikes above are in the foothills—beautiful as they are—but Brainard feels like quintessential Colorado: a stunning alpine lake, rugged snow-capped peaks, wildflowers during the spring and summer, and a chill in the air. Brainard can be crowded due to the high bang-for-your-buck mountain experience, but for more solitude you can move past the boardwalks and picnic tables near the parking lots and up to Mitchell and Blue Lakes (Blue Lake is 2.5 miles from the Mitchell Lake Trailhead). An added bonus is the beautiful drive on the Peak to Peak Highway, but beware of the high elevation coming straight from Denver. 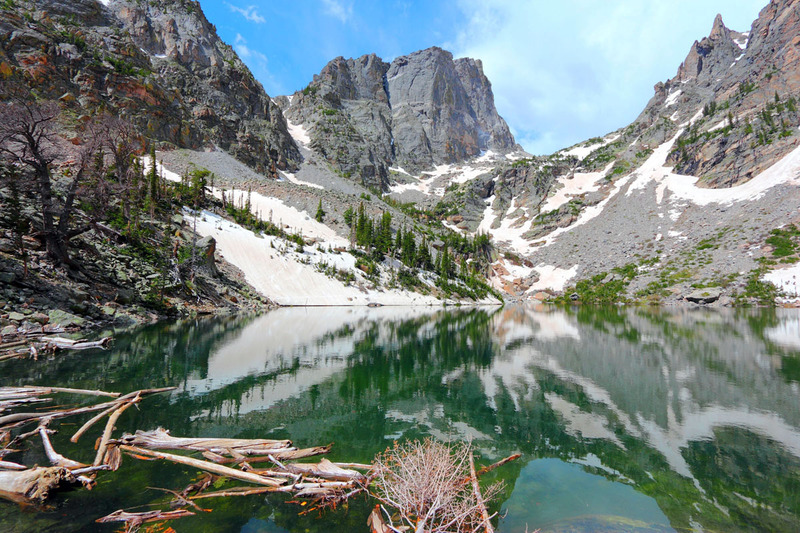 Rocky Mountain National Park is one of the jewels of Colorado, and Emerald Lake is the best short day hike in the Park. Departing from the Bear Lake Trailhead at 9,475 feet, the trail passes Nymph Lake and Dream Lake with views of Longs Peak in the distance. At 1.8 miles from the trailhead and over 10,000 feet in elevation, stunning Emerald Lake emerges. The lake is fed by the Tyndall Glacier, one of five active glaciers in the park, and is a great place to have lunch and take in the views. For a more challenging hike in the area, the nearby Flattop Mountain Trail skirts the Continental Divide and is 8.6 miles round-trip from Bear Lake Trailhead. For either hike, make sure to leave early or use the park’s shuttle service as parking fills up quickly. Breckenridge is less than two hours from Denver on I-70 and one of our favorite Colorado mountain towns. A weekend in Breck is ideal, but you can do the Mohawk Lakes hike in a day with enough time to head back to the city. Elevation is a factor here: Lower Mohawk Lake sits at 11,861 feet and Mohawk Lake itself at 12,110 feet. 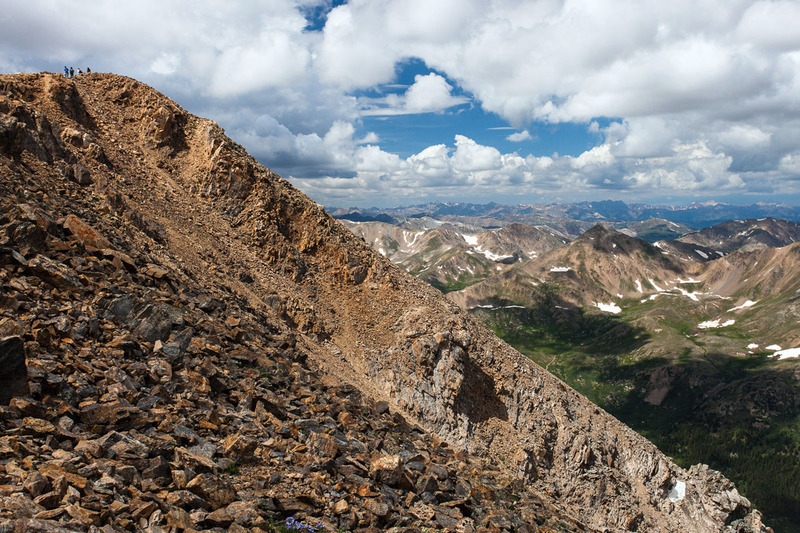 If you can stomach the vertical rise, the views are spectacular of above-treeline Colorado mountain scenery, alpine lakes, wildflowers, and wildlife. This local favorite ends with ample opportunities for scrambling and views of higher Pacific Peak and Crystal Peak, which are just shy of 14er status. Peak baggers staying in Breckenridge can climb nearby 14er Quandary Peak, the 13th highest mountain in the State. 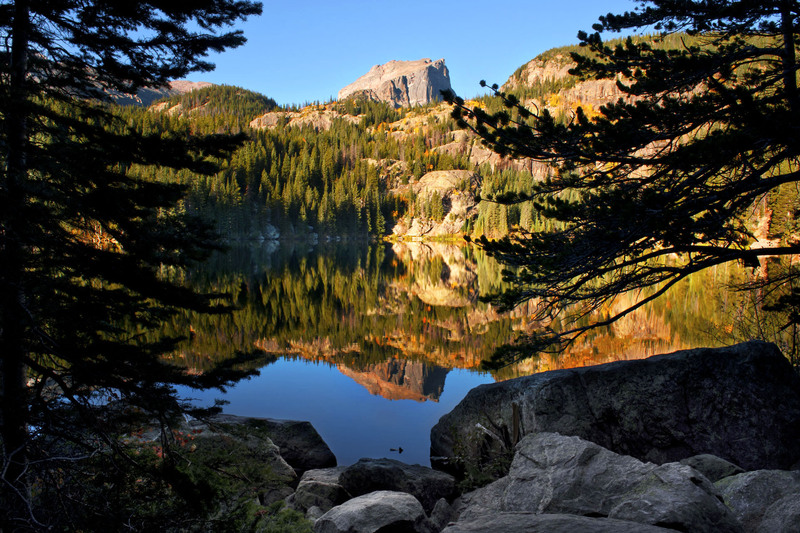 To beat the crowds in Rocky Mountain National Park, look no further than the Bear Lake to Fern Lake one-way hike. The Park offers a free and efficient shuttle system: for elevation reasons, most hikers start at Bear Lake and end at Fern Lake and take the shuttle back to their cars (shuttles run from 7am to 7pm from spring to fall). Those who choose this hike will be rewarded with pristine backcountry, alpine lakes, waterfalls, and big mountain views. The unfortunate 2012 Fern Lake Fire, caused by an illegal backcountry campfire, did cause significant damage to the vegetation around that lake. However, things are recovering quickly and it shouldn’t be much of a deterrent to those choosing this hike. Neighboring peaks Grays and Torreys are the two most accessible 14ers (mountains above 14,000 feet in elevation) in Colorado and the two highest peaks on the Continental Divide. With the trailhead off I-70 at 11,280 feet, the hike up Grays and the saddle over to Torreys is strenuous but manageable for many hikers (again, elevation is one of the biggest battles here). The easiest route up starts from the Stevens Gulch Trailhead just 3 miles off the highway. The road to the trailhead can be rough in spots—if you have a low-clearance vehicle, it may be prudent to park at the dirt lot near the freeway exit and thumb a ride from a fellow hiker. On the hike, reaching the summit of Grays is first, and it’s easy to skip the saddle over to Torreys if you’re tired or the weather looks questionable (the saddle does require some Class 2 scrambling). The total round-trip distance is 8.4 miles and the summits of both peaks are above 14,270 feet. We don’t have Longs Peak listed here because it’s classified as a climb not a hike. The popular Keyhole Route has a lot of Class 3 terrain: scrambling or un-roped climbing when a rope often is a good idea. Due to its difficultly a significant number of people (estimated at around 50%) who attempt the summit are unsuccessful. 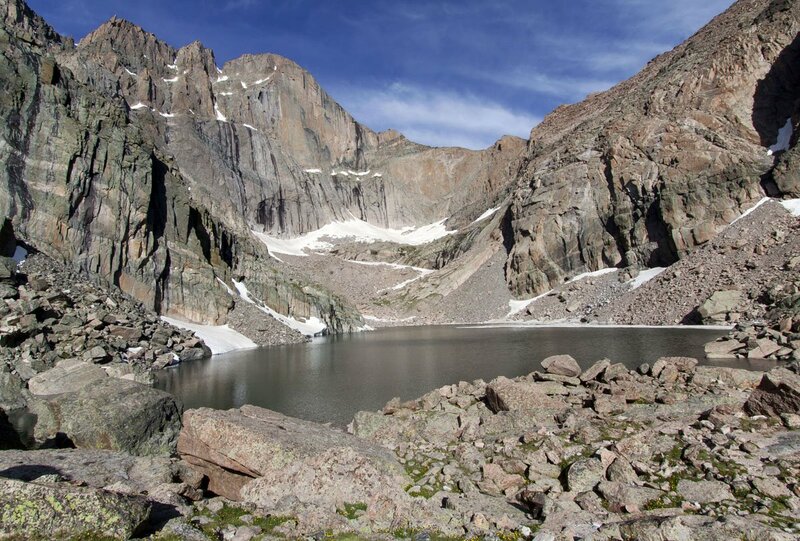 However, breathtaking Chasm Lake, which sits below Longs Peak in a dramatic rocky cirque, offers big views of Longs Peak and other 14ers looming above. The trail is a great place to spot wildlife including elk, bighorn sheep, mountain goats, and marmots. If you don’t climb Longs, hiking to Chasm Lake is the next best thing. Conditions are variable at any time of year so be prepared for wind and chilly weather even in the summer. At 14,439 feet, Mount Elbert is the highest mountain in Colorado and second highest in the contiguous United States (California’s Mt. Whitney is first at 14,505 feet). Outside Colorado, Mount Elbert doesn’t get the buzz of Pikes Peak or Longs Peak, but it’s a fantastic day hike and the summit is a serious feather in your cap. The hike from the south trailhead is steadily upward with solid views over the Sawatch Range once you’re above tree line. Both the south and north trailheads are relatively straightforward with all Class 1 hiking. For an alternative route, the Black Cloud Trail is slightly more strenuous and gets fewer hikers. All of the routes ascend 4,000 vertical feet or more so be prepared for a tough day out. And make sure to start early: you should be off the summit by noon or 1pm at the latest to avoid potential weather.